Land Rover Discovery Sport Running Costs, MPG, Economy, Reliability, Safety | What Car? 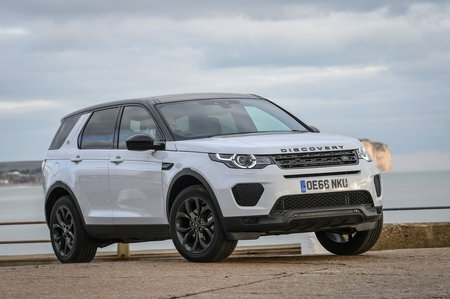 The Discovery Sport is priced competitively against five-seat premium rivals such as the BMW X3 and Audi Q5, both of which are less versatile. However, the Discovery Sport looks rather expensive when you compare it with mainstream rivals such as the Kia Sorento and Peugeot 5008. Still, if you’re willing to pay the premium for the Discovery’s upmarket image, you can be reassured that it depreciates very slowly, thanks in part to its desirable image. This also means it’s relatively cheap on a PCP finance deal, helping it to cost less to run overall than high-end versions of the Hyundai Santa Fe or the cheaper SsangYong Rexton. The 178bhp 2.0-litre diesel engine emits a similar amount of CO2 to an equivalent X3 or Q5. Real-world economy is slightly disappointing, but not horrendously so with mid to low 30s mpg perfectly achievable if you drive gently. If you opt for a petrol model, expect the economy to be significantly worse. Entry-level Pure trim brings some niceties, including part-leather upholstery, cruise control, rear parking sensors and an 8.0in colour touchscreen. However, we’d jump to SE Tech as a minimum. That trim adds sat-nav, automatic lights and wipers, front parking sensors and a powered tailgate – all for a modest increase in price. But the most recommendable trim is Landmark; this gets you electrically operated front seats, leather seats all round, xenon headlights, a reversing camera and a panoramic glass roof. In fact – and a little bizarrely – it has all of the kit of the HSE and more, but at a lower price. The only annoyances are that it comes in a limited choice of colours, and its standard 19in wheels make the ride a little jittery. Landmark aside, the higher trim levels represent too much of a price jump to represent good value, and are best avoided. 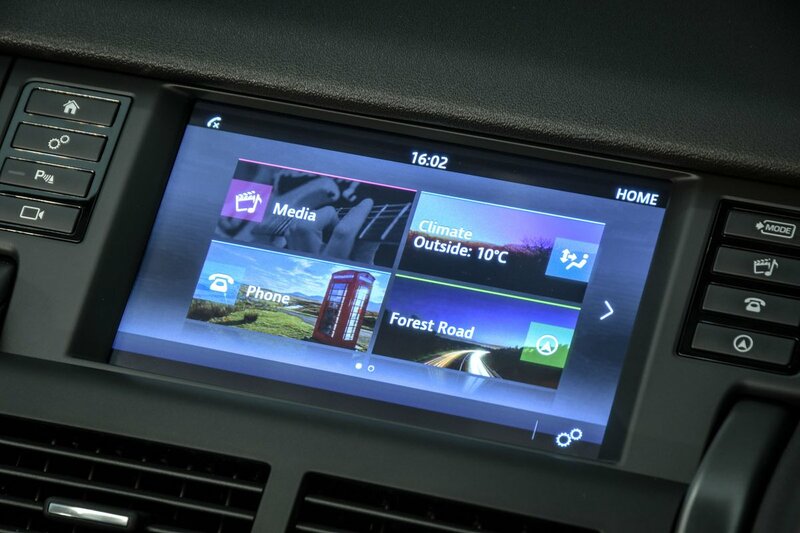 If you are happy to spend more money, consider adding the improved functionality of the optional InControl Touch Pro infotainment system to the Landmark trim instead. Land Rover didn’t do very well in our 2018 What Car? Reliability Survey, where it ranked 30th out of the 31 manufacturers examined, with only Tesla performing worse. If we drill down to the large SUV category, only the Ford Edge proved less reliable in the Discovery Sport’s class. A three-year, unlimited-mileage warranty, which also includes UK and European roadside assistance, should provide some peace of mind. This is about par for the class, although the Hyundai Santa Fe and Kia Sorento come with far five and seven-year warranties respectively. 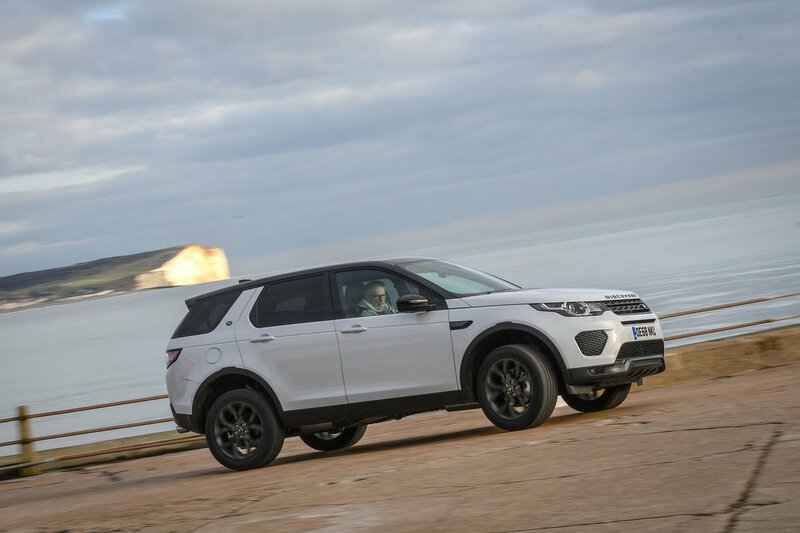 The Discovery Sport used to set the standard for safety in its class and achieved the full five stars in Euro NCAP’s safety tests. An airbag springs up from the top of the bonnet to help reduce head injuries in the case of a pedestrian collision, while interior airbags include one for the driver’s knee, as well as airbags that cover the head, chest and side areas of those up front. There are head and side airbags for passengers in the middle row of seats, too. It should be noted that the Volvo XC60 performed even better, however. Automatic emergency braking and lane departure warning are standard across the range. Traffic sign recognition, which displays the speed limit, is optional on all but entry-level Pure and SE trims, while safety functions you can order include lane assist and blindspot warning.